Right! You are beginning your search for a dream puppy, diving into all those options and adverts. We want you to think about a few things first.We wish the decision came down to just cuteness and love, but there is a lot of serious stuff too!Maybe you haven’t realised it, but when you make your puppy choice you will be committing your support to a particular set of ethics and standards. Do you want to stand up for responsible breeding and adoption, or for the tragedy of cruel and irresponsible breeding? This thought is very likely to be on your mind, and trust us, breeders have heard it many times before. But you could be asking for trouble if you want a puppy this easy. Sadly ‘quick and easy’ is exactly what poor puppy providers thrive on. What you really have to do is – research, look around at the alternatives, and understand your facts. Then make the right decision. That is the best way to avoid those that are not out for the best for their puppies. There are many great options out there, and a few bad ones too. Or the irresponsible dog owners, that are just out for profit. They will, without expert knowledge or background experience, breed dogs without ensuring quality or happiness. Your choice of course, is not just about ethics, it will also determine the next 10-15 years of your life!Ready? Let’s go a bit deeper! Adoption of course is a wonderful thing. You can provide a home to a dog that does not have one, and you and your family can give them lots of love. In shelters you will discover puppies, adult, and senior dogs who are just waiting for the miracle that someone will take them home. These dogs have either been found stray or given up, and are usually living in the shelter until they find their dream home; quite often for years. They are usually mix breeds, very often sweet and cute, and there will be little or no idea of their family history. But in a shelter you will definitely find a unique puppy …. …But be prepared, this wonderful world does come with some issues. You probably won’t know what breeds the dog comes from. You will not know the parents, or what sort of character your dog may have got from them. You will know little of the dog’s past, and what mental or physicals shocks may have occurred. However, beyond any initial difficulties, you can rest assured that a puppy chosen from a shelter will always be grateful for the new life and opportunity you have given them. What do I need when adopting? Stamina and strength, especially at first. It may seem strange to think of all these things, but remember the goal for everyone is to find the dog their REAL home, and for them not to return to the shelter. There is a little more! It’s never quite that simple. If you decide to think seriously about adoption, you will have to go through their official system, which varies from shelter to shelter, and country to country, but there are rules that are nearly always the same. You will need to contact the shelter and fill out a questionnaire. You will then be notified if you are found to be a suitable host. You can visit the shelter personally and meet the dogs. Discover the dog that you want to be part of your life. Visit the dog a few more times and possibly have a test stay at your home. Adopt the dog – usually you will have to agree to a contract. Adoption is not usually free. But you will only have to pay a symbolic amount. It varies, but expect anywhere between $80-$150, which of course is spent on the shelter. With these basic facts in hand, and lots of research I’m sure you will be able to make a responsible decision. Maybe you really want to have a purebred dog. You do have the option of adopting here too! The number of purebred dogs that need to be saved grows year after year due to excessive breeding by irresponsible people. And because of this, organisations for specific breeds with enthusiastic volunteers are ready to spend time and money to find owners for these homeless purebred dogs. The main difference from a shelter, is that rescue organisations are usually independently run, and the dogs are more often housed in foster homes, rather than in kennels. The process of adoption is usually the same as in a shelter. But although here you can adopt a purebred dog, you must accept, that unlike with a PROFESSIONAL BREEDER, the dog is more likely to have come from poor breeding and will have no pedigree. There are, of course exceptions, and you can find high quality pure bred dogs here, but you are likely to know little of their life history. 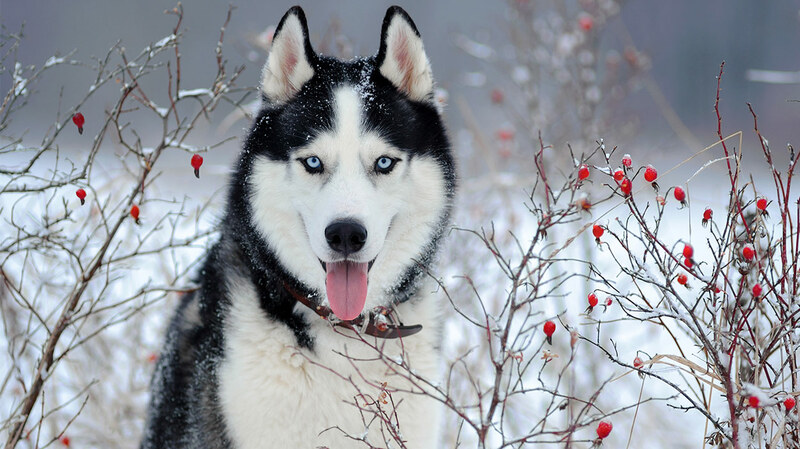 If you are determined to choose a purebred dog from a specialist rescue, be prepared for the time and effort it takes to train, socialize and deal with any health issues that may arise. But just like a shelter dog, there can be no better thing for a rescue dog then finding a dream home, if it truly is the right home for them. And now we come to the third option. A purebred puppy, from a professional breeder. At Wuuff we work with only the best breeders, and we want you to know what sets apart a brilliant breeder from a bad breeder! A truly professional breeder will study their chosen breed in detail and plan the mating with the best knowledge to get everything right. You may be surprised, but before the ‘mating’ is even done, a breeder will picture the future puppies in the front of their mind, to ensure they are perfect. All their work is organised to meet the special needs of that breed, and everything is done to ensure the health and happiness of the pups and dogs while breeding. Parents are always chosen to ensure the right qualities and characteristics are passed on. We have seen this first hand; a lot of work goes into good breeding and a great breeder will leave nothing to chance! That’s why when you buy a purebred puppy you can have a great idea of what the character of the puppy will be. You can easily judge if a puppy will be a great fit for you life, and whether they can adapt well to your home. The key choice is ensuring you get the right puppy, from the right litter, from the right breed. But…… Are you sure you want to make these firm choices? This is going to be the newest member of your family after all. Think about it a bit. Why should the price and the distance be the main consideration. The purchase price and the trip to get your puppy is a one time thing, but your new puppy will be with you for 10-15 years, and could be your child’s best friend growing up. So, keep your options open! You cannot be expected to be an expert on the world of dog breeding, but it is a good idea to know the basics before you start finding breeders. Especially as you may not know how to avoid those that are only interested in producing puppies quickly and cheaply for profit. Yes we are talking about Puppy Mills. But we can help you make a well prepared and confident choice so you can avoid years of financial and psychological burden that can happen when you choose a poor puppy from a bad breeder. 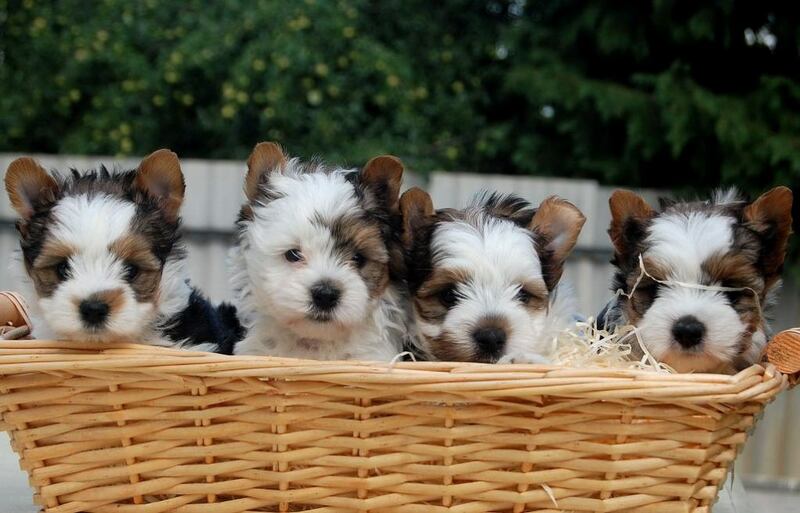 Let’s get down to business on how to find a perfect purebred puppy from the best breeder! When checking out breeders, you should consider the following factors, as they can help you spot the difference between a great breeder, and a potential puppy mill. You’ve seen that piece of paper right, like a family tree but on its side. Well for a breeder and purebred dog owner it can mean a lot more. First of all if a puppy has a pedigree, you can be sure it comes from parents registered with a kennel club, and a breeder that is a kennel club member too. Knowing this comes with a lot of safeguards. This is because there are strict standards that have to be applied when you are registered. You have to have health screenings of parents and pups, you must comply to the breed age limits for breeding, and the litter will be inspected too. All this will deter some breeders, so be aware, a pup that comes with a pedigree has to hit certain standards of care and quality, and it shows the dedication of an ethical breeder. If you find a purebred puppy that does not come with a pedigree, you have to ask.. Why? “It takes up time, it’s expensive, it’s just not necessary” You could hear any of these reasons. It’s true registering your pups and getting the pedigrees does take some time, and it does cost around $30 per puppy to get a pedigree. But are these the really reasons some breeders avoid them? Or do they not want to meet the expectations that come with being registered? This is another big factor that can help you filter out the bad breeders. ALL puppies MUST LEGALLY be microchipped, this is plain and simple. And the breeder must have the puppy chipped BEFORE passing it over to the new owner. If a breeder says there puppy does not come microchipped, this should immediately ring the alarm bells and you should put down your phone, or if you are visiting the breeder in person, turn around and leave then and there! A good breeder’s first concern is the health of the puppies, and it is essential for a puppy’s future health to get their vaccinations and dewormings at the right age. At 10 weeks, and even earlier in the U.S, a puppy should have had combined vaccinations for distemper, adenovirus [hepatitis], parainfluenza, and parvovirus, and have had up to 4 worming treatments (you must see at least two of them in the vaccine book). And then of course they must have the rabies vaccination before they reach 6 months of age. The lack of vaccinations by this age can badly affect the puppy’s entire life. I know that every puppy is sweet and cute, but if you fall in love with a puppy without vaccinations you will be asking for trouble later on! This is what you should expect at a very basic level from a breeder, and all this should be included in the price of a puppy. Put the health of your pup first, you can download our simple yet informative Health Screning Cheat Sheet now! Always get to know a puppy’s parents! Either ask for photos, or meet them in person. Especially ask what health screenings they have had, and if they have received the usual ones for their breed. If they have good health screening results, the chances are good for their pups too. Do they have exhibition results? Show success only comes from being a beautiful example of the breed so you can be sure that you can expect a really nice looking puppy. And dog showing results also indicate that a dog has a fantastic temperament for the breed, thus suggesting that any puppies most likely will too. You may get a lot of explanations from breeders for why they do not go to shows or why the parents do not undergo health screenings. Be suspicious of the excuses, these are very basic things for a real breeder. So think about what the reason for their excuses may be! It is always a good sign if the breeder offers a contract and guarantee when you buy a puppy from them. While it is true that a breeder will provide the puppy on their own own terms, do not worry, it’s nethot an impossible mission to get a fair guarantee. A caring breeder will in fact quiz you to ensure you will provide an appropriate environment, good nutrition and health care, and even include the requirement to keep them updated about this. The more a breeder wants to know about you and how you look after the puppy, the more they clearly care! You can ask a good breeder any question at any time and believe me they will be happy to help you. And if you send them photos, they will be the most proud breeder in the world! Having all this knowledge and preparation is good if you bring it together before you start contacting breeders. Lucky for you, you can do this on wuuff.dog, where you will find breeders that comply with all of the above. Now you can be sure that you really will make the right decision, and find the right puppy. 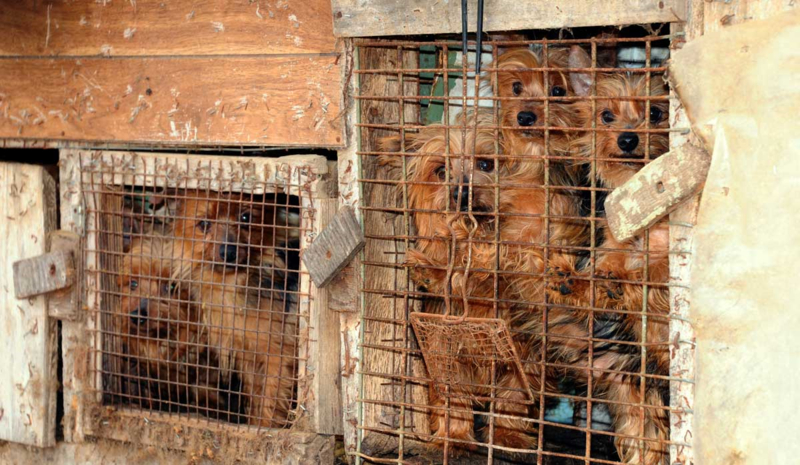 DO NOT CHOOSE FROM A PUPPY MILL. Adopt, or buy a puppy from an ethical breeder.